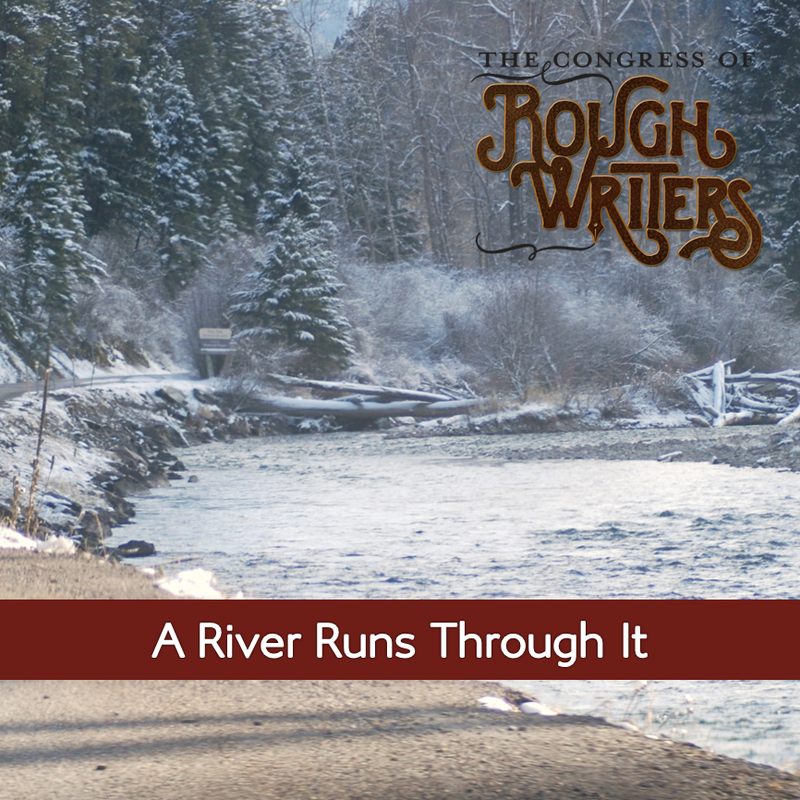 Norman MacLean wrote, A River Runs Through It, and set the landscape for writers to follow the flow. He wrote, “I am haunted by waters.” What is it about rivers that call to a person? Not all rivers flow; others flow with the unexpected — gold, blood, memories. A river can impact the moment or embody life. Writers explored many rivers and different characters in their midst. Oklahoma rivers run dry during a drought. When crossing a river on a highway bridge, Jean had always seen the river’s path below like open lacework over a sandy bed. But here she was with her parents, at the first I-35 rest area across the Iowa border into Minnesota. She stood at the window in the welcome center and looked down the hill at the body of water below. River or creek? She didn’t know – what she did know was this: the Minnesota creeks looked almost like oceans compared to the Oklahoma rivers. She also knew: she was home. The small, wooden boats lined the riverbank in a neat row exactly as Ken remembered, waiting for hire by visitors suddenly overcome with the urge to take to the water. Ken ambled along the path, keeping one eye on the river. Then he saw it and stopped short: the very spot where he and Muriel had picnicked before she had asked him to take her boating. Of course darling he had said, knowing she couldn’t swim. Faking an accident on the river would be easy. Ken jolted awake, his hopes dashed as Muriel snored peacefully by his side. Kate is toddling in the stream and humming along as the cold temperature is rejuvenating her from the daily grind. She turned towards him, “Nah! not yet. I am loving it to such an extent that I wanna merge into it.” replied with a giggle. Just then a loud shriek was heard, followed by panic, agitation and soon the voice got drained off. He perched on a rock, tilting his face to the sun and listening to the trickling stream. It used to snake through the woods, rushing by this spot. A dip in the earth, full of fresh water splashing up and over boulders like the one he sat on. At least that’s what they told him. He had never heard the water crashing into stones and trees. Sometimes he thought about what clean water would taste like. He imagined it was sweet, like berries. The elders knew. They knew the river was drying up and they prayed. Lucinda belly-crawled to the edge of the creek. Behind her she heard the metal of her DC-10 bulldozer ping in the heat. Soon the roaring wildfire would engulf the equipment meant to build a barrier. Trees exploded and flaming pitch arced above black smoke like holiday fireworks. The heat was blistering even as Lucinda waded into the creek, dipping her entire head and body in the water. Two moose stared at her, a wall of flame behind them. She whispered a silent prayer. Forgive us our trespasses against this land. Thank you for the water. May it be enough. Immersing the ashes into the holy Ganges River, the Hindu priest prays to the Sun-God for the soul to make a peaceful transition to the other world. “Isn’t this a river of death?” piques the Englishman. “Nay, this river is the life-giver. She flows satiating the parched, germinating the seed of life and dissolves the dead to commence a new beginning. Eventually, all things merge into one”, answers Leila, calmly, in her white robes and freshly tonsured head, a sign of widowhood. “Faith abounds here”, she says pointing to the swift current. Leila clutches to a book on re-incarnation. “Here’s one!” Carla squealed, holding up a squirming salamander with two fingers. At dinner they sat up straight and proper, elbows off the table. The katydids winded down the evening. They exchanged glances, stifling giggles. A fuzz of creek sand still covered their feet. “What did you two do today?” Their father asked. “Nothing.” They said in unison. Emmit nodded. Carla whimpered. Her father leaned over to look at her finger. Emmit worked quickly, dropping the salamander into her glass just before his stepmother took her seat at the table. Heat rises in waves from the dry bed, pouring like syrup from the base of the reservoir. The front of the dam radiates energy. Sweat runs in rivers from the faces of those gathered for the historic event. The foreman hooks the top of the dam, nudging its bricks out of the way. All lean closer, heedless of the heat. There is a concerted gasp of awe as they see that first flash of green. Suddenly, a bright river of molten gold runs down the stepped channel. Flashbulbs! Champagne! The new mine’s first smelt of ore has officially commenced. She crashed through the underbrush, branches whipping bare skin. Lifeblood dripped from scratches, soaking the soil, eventually feeding those with which she shared her homes. Heart pounding, she pushed on. He conquered the treetops, branch by branch. The creatures would watch in awe, though never catch him. He spotted the cascading water. Cool water enveloped the pair as they embraced, panting, washing away their exhaustion and carrying them on toward a new home. Julia arrived at the meandering river. She knew the dangers, but the day was scorching and the cool waters seemed to call to her. She began to undress, and soon felt she was being watched. She carefully approached the lazy river, and there hidden behind some reeds was a young water nymph. Julia knew what this danger meant, but she was also determined to take a swim that day. She began to sing an enchanting love ballad to the nymph, who almost instantly began to cry. After listening to the entire ballad, the nymph quietly swam off and disappeared. But the river runs almost dry, a dirty trickle in baked and cracking silt banks. Preparations are mingled with prayers for rain as many feet pass across the bridge to the tiny island in the middle. The nuptial canopies are secured to poles, gauzy cloth billowing around each. How can I just do nothing, when weather magic is so easy? … then the rains come … the river flows freely down each side of the island … and the marriage can begin. Side by side. Each in his own world. Two poles purposefully pointed toward the ever-popping ripples in the fresh water pond. A sharp tug. Another. And it’s gone. One- a run-away at fifteen who has returned home. The other- a fragile, ninety-year-old… lost in macular degeneration. Together now, but separated by forty years and fifteen feet. Memories. A father tiptoeing in for a look at his son before work… Careful not to awaken him. A son sneaking home from being out all night… exhausted. Both- blinded by memories of years never encountered. He wanted a fabulous birthday party, on a riverboat, with music, food and drink, surrounded by friends and family. The full moon shimmered on the sparkling waters, but she looked down at the ebony pool wondering what lay beneath. The full tide smacked the hull relentlessly, rocking her queasy stomach. One minute she was dreaming of her promotion, and the next she was discovering the terror which lay below the surface pulling her down to the riverbed. Later, when her great-granddaughter threw a bunch of daisies into the river, she picked it up because many waters cannot quench love. Clayton’s mind wasn’t on the golf game he was losing to his partners. Instead, he stared intently at the plaque on the historic Stono River alongside the course. He seemed mesmerized by events described on June 20, 1779. British troops approached Charleston. Ragged Patriot militia tried to hold them off at this ferry crossing. Lives were lost in the pursuit of liberties Clayton takes for granted every day. His struggling golf game suddenly seemed ridiculously trivial. “Coming,” Clayton said, slowly walking away with his head still turned toward the river. “We’ve got to pull together to get through before the gate closes.” Ruby yelled to Luke. “One, two, three. Pull!” They continued upstream pulling together at each gate. She nodded, breathless. “A little tired.” Suddenly they plummeted down a Niagra style drop into the swirling cavern below only to be pumped at speed along a new river which wound through the lush region of alveoli. As they past Ruby smiled, feeling her energy return. “I’m ready for the next run” she said, her colour returned. The tinkle of running water signalled we’d strayed from our route. By a long stretch. Emerging from the trees, I snatched the map from his hand, struggling to match the pattern of coloured lines with the landscape up ahead. He sat on a rock and bent to unknot the laces of his boots. “We haven’t time to hang about,” I said. The sun already sat low in the sky. Anger gripped me, until I looked where he was pointing. On a branch overhanging the river perched a kingfisher, regal in its electric-blue coat. Worth the detour, after all. By Charli Mills in Flash Fiction Challenge on March 4, 2015 . Another great collection, Charli. Your prompts always elicit an interesting collection of stories. I really enjoyed the final scene of “A River Runs Through It”. I’m looking forward to reading the book. There’s a rhythm to the compilations as if all the stories do merge into one. It’s why I think a themed anthology really could be powerful. All of these FF are wonderful! I enjoyed reading each and every one of them. WTG writers! I usually cruise the flash as they appear but today I had the joy of over indulging in great flash; a one hit wonder. What a rush, like eating sugar cubes dipped in chocolate. What a talented bunch (apart from the corny Brit from South L- he always overplays his hand!). Great corralling Charli! Sugar cubes dipped in chocolate! What a rush! It is a talented bunch from every corner even including that Brit in skis. I read each as they come in, but it’s a different experience when I read them collectively. Do you find the themes the writers choose each week? Not every week for me but sometimes the prompt has an obvious direction and then something abstruse which two or three pick up on which is lovely. Very observant comment, Geoff. Some weeks, I craft the line up based on an interesting flow or juxtaposition of themes. Other weeks I can’t see it as obviously and I randomly select the flow and am surprised by how it reads.